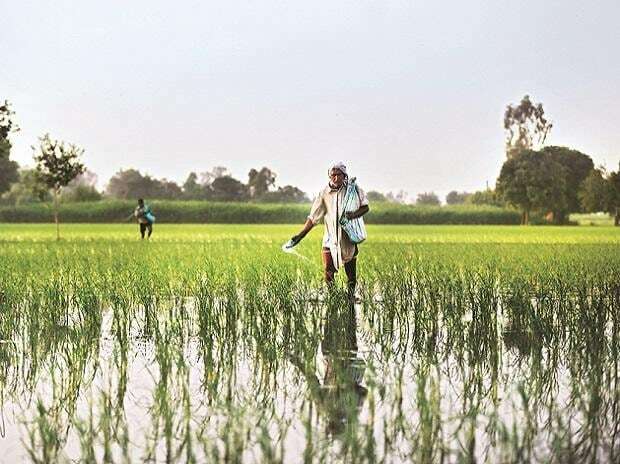 Setting in motion the process of disbursing the first tranche of income support for farmers under the PM Kisan Samman Nidhi scheme, the Union government has directed states to use the existing land-ownership system to identify beneficiaries, and stated that only those whose names appeared in land records as of February 1, 2019, would be considered. Finance Minister Piyush Goyal had announced the scheme while presenting the interim Budget on Friday. Goyal said farmers who owned less than 2 hectares of land would receive income support worth Rs 6,000 a year — Rs 2,000 in three instalments. Crucially, the scheme was introduced with retrospective effect, and the government plans to transfer the first instalment to beneficiaries in the current fiscal year. In a letter to the chief secretaries of all states and union territories (UTs), Union Agriculture Secretary Sanjay Agarwal said the cut-off date for determining the ownership of land under the scheme was February 1, 2019, and any changes to land records after that would not be considered for eligibility of the benefit for the next five years. “However, the scheme benefit will be allowed on transfer of ownership of cultivable land on account of succession,” it said. In North-Eastern states, where land ownership rights are community based, the Centre will develop an alternative mechanism by a committee of Union ministers and the Ministry of Development of North Eastern Region to implement this scheme. The Centre also said that if a landholder farmer family had land parcels spread across different villages or revenue records, then land would be pooled for determining the benefit. “Accordingly, it is of utmost importance that the land records are clear and updated and the state governments are requested to complete updating of land records for the purpose expeditiously,” the Centre said. The government also said that for the transfer of benefit, district-wise beneficiaries’ lists shall be certified and uploaded by states/UTs on the PM-Kisan portal of the government of India and the funds would be electronically transferred to the beneficiaries’ bank accounts on the pattern of the MNREGS. These lists will also have to be displayed or verified at gram panchayats to ensure greater transparency and accuracy of the list. The funds shall be released periodically based on the receipt of fund transfer order from the states concerned with the eligible beneficiaries’ details. It also asked states to notify district-level grievance redressal committees and designate a nodal department for implementation of the scheme. The government has already earmarked Rs 20,000 crore for disbursement in the current fiscal year to an estimated 12 crore farmers. Meanwhile, in an interview to PTI, NITI Aayog Vice Chairman Rajiv Kumar expressed confidence that there would not be any major difficulty in implementing this farm package, except in North-Eastern states where it might take a little more time. “The Ministry of Agriculture has been working on this (proposal) and therefore they will pursue it on a mission mode. This is one scheme where implementation has to be ensured. We should be able to do it,” he said. Kumar said the process of digitisation of land holdings had already started and in most states, including Uttar Pradesh, land records had already been digitised.